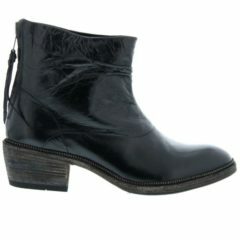 Contemporary western bootie featuring bold stitching and an outside zipper. Hand crafted from premium calfskin using Goodyear® welted construction for exceptional quality and durability. The leather lining and sockliner draw moisture away from the foot; the footbed adds cushioned comfort when you’re on the move.